Makitalena Cikamatana has been appointed the Team Manager for the upcoming Oceania Weightlifting Championships to be held in New Caledonia on June 26-30. 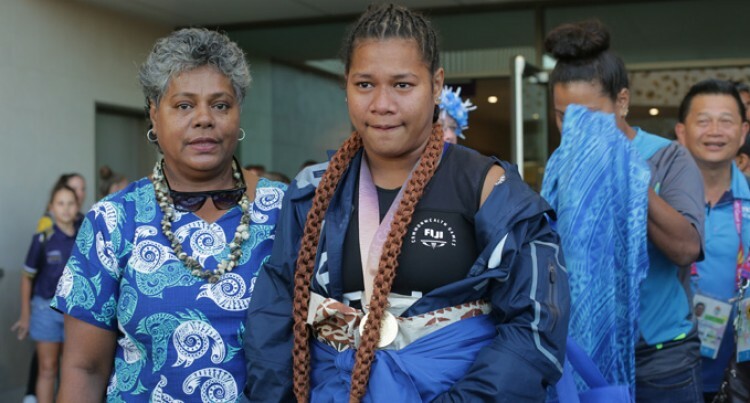 Makitalena is the mother of Fiji’s lone 2018 Commonwealth Games gold medalist Eileen Cikamatana who will manage the national team for the first time. Eileen, is training in Noumea and will be competing at the championships as well. According to the statement by Weightlifting Fiji Makitalena attended the Oceania Sport Education Program’s (OSEP) Team Manager Training in September 2017 and put her hand up to lead the team at Weightlifting Fiji’s (WF) Executive Board Meeting on April 29, 2017. She is based in Ovalau and is one of the Vice President’s of WF. The team will mainly consist of youth athletes, some who will be travelling out of the country for the very first time. WF is looking at sending a full youth team of six boys and six girls in the different weight categories. The Oceania Championship is a team-based qualification event for the Youth Olympic Games to be held in October in Argentina. Experienced youth athletes like Sofia Kinikinilau and Maria Mareta will be in fierce competition to qualify for the one place for the Youth Olympic Games, which will be held in Buenos Aires, Argentina in October. Weightlifting Fiji is thankful to the Fijian Government, Fijian National Sports Commission, FASANOC, Sponsors, Media and the general public for their support.